Home Blog Can the new Scottish National Investment Bank create a low-carbon Scotland? Can the new Scottish National Investment Bank create a low-carbon Scotland? The Scottish Government announced today its intention to establish a new investment bank. This could create thousands of green jobs by transforming transport, heating, housing and electricity - campaigner Ric Lander takes a closer look at what's been proposed. 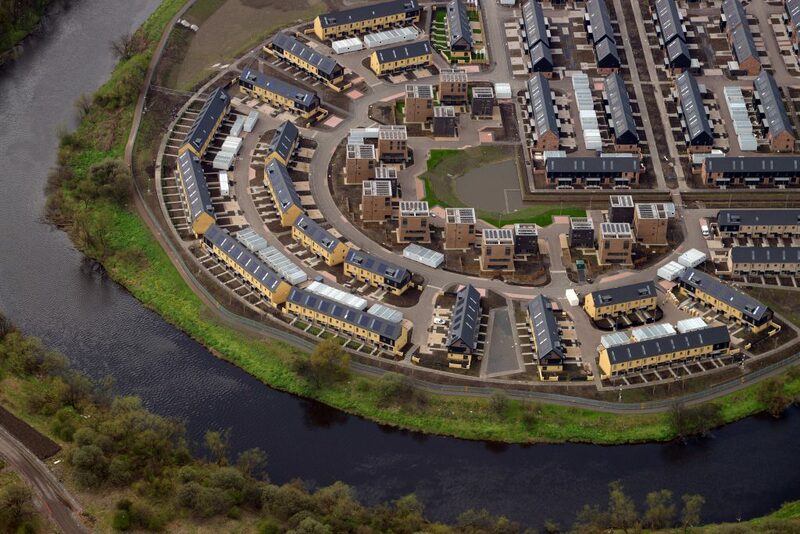 Low-carbon social housing: the Common Wealth Games Athletes Village in Glasgow. Photo by the Energy and Solar Trade Association, Creative Commons. The Scottish Parliament is back to school this week and First Minister Nicola Sturgeon has announced a big shopping list of green policies in their Programme for Government. One policy we’re particularly excited about is the creation of a brand new Scottish National Investment Bank ‘to invest in long-term, patient capital’. This is timely since the UK Government’s Green Investment Bank, based in Edinburgh, was fully privatised just a few weeks ago. Founded in 2011, it was heralded as a key way in which action on climate change would be funded. Although it lacked borrowing-powers and ambition, the UK Government’s disposal of the Green Investment Bank is a step-back. The UK and Scottish economies are in a poor state. The UK has the fifth lowest investment levels in the European Union and historic low-levels of spending on research and development, contributing to low and static levels of productivity. At the same time, major investment is needed to make Scotland’s economy fit for a low-carbon future. Much has been achieved to cut emissions from electricity generation, but little progress has been made in transforming transport, manufacturing, commercial property, space heating and housing. Many policies have been announced to make these changes, but funding is in short supply. Our current financial system will not deliver this change. Private investors are not equipped to invest patiently in long-term projects and public investment through public-private partnerships has dramatically increased borrowing costs. A new Scottish National Investment Bank could solve the country’s chronic lack of investment and fund our transition to a low-carbon economy if money is invested patiently and with care. This transition could also result in a growth in employment if planned in ways which protect workers’ livelihoods, creating a new industrial base and delivering a fairer and more equal Scotland (unlike what happened to coal-mining communities). Only by increasing public control over investment can we address these problems and create good green jobs to make Scotland’s economy flourish. A green-focussed Scottish National Investment Bank is the right tool for this task. Renewable heat. The Scottish Government’s Energy Strategy plans a rapid transition away from gas With heating accounting for 50% of our energy use a national programme of district heating for both domestic and non-domestic properties would reduce fuel poverty and reduce climate emissions. Zero carbon travel. Investment in public transport, walking and cycling can reduce emissions, boost local business, improve health and wellbeing, and cut dangerous levels of air pollution. Major projects like extending the Glasgow Tube and Edinburgh Trams would bring many of these benefits and more funding is needed to upgrade buses and create Low Emission Zones. 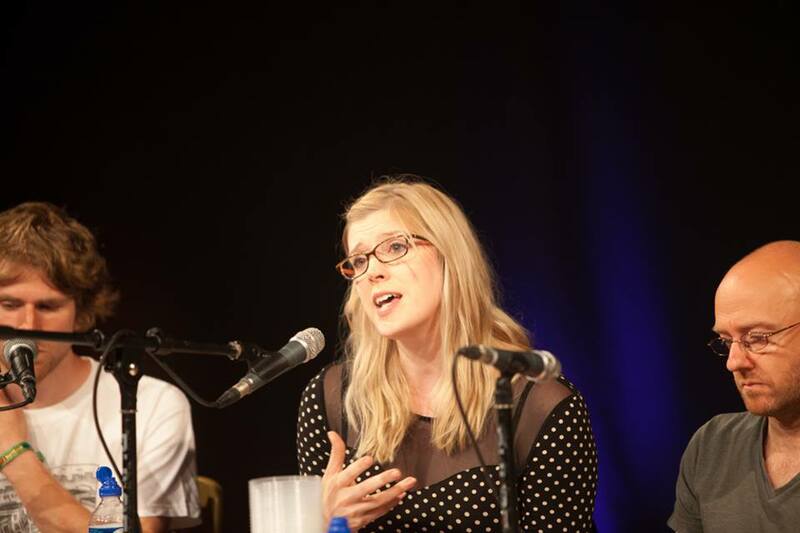 Gemma Bone, speaking here in 2014, developed proposals for a Scottish National Investment Bank with Friends of the Earth Scotland, Common Weal and NEF. Image by Simon Baker, used with permission. The Scottish Government announced today that their new Scottish National Investment Bank will be run by the former Chief of Tesco Bank. A rigid governance structure will be required to ensure the agenda of Scotland’s ailing financial sector, with its excesses and in some cases, track record of law-breaking, doesn’t set the Bank’s agenda. The Bank must be sufficiently large. The UK Green Investment Bank was capitalised with £2 billion whilst Labour have proposed a Scottish National Investment Bank that can lend £20 billion. The Scottish Government have not commented on the new Bank’s scale. The new Bank must have the full powers of a bank: it must be able to borrow and leverage capital, something which the UK Green Investment Bank and existing Scottish Government structures like the small Scottish Investment Bank fall short on. At the same time it must not rely on disastrously expensive public-private partnerships to raise funds. Working with the New Economics Foundation and Common Weal, we have been building up the case for a Scottish National Investment Bank that responds to these challenges, first proposing the idea in our 2016 report ‘Banking for the Common Good’. Since then we have toured party conferences and the UK and Scottish Parliaments, gaining the support of Labour Leader Jeremy Corbyn and the SNP Membership in the last year. If done right the new Scottish National Investment Bank could transform our economy to be fairer and fit for a low-carbon future. We’ll be keeping the pressure up to make sure this vision becomes a reality. Common Weal have been reporting on the campaign. You can view news articles here. 2. For more information on the potential for off-shore wind development see this report by Mika Minio-Paluello. 3. For more information on housing visit UNISON Scotland’s housing campaign. Ric Lander is Divestment Campaigner at Friends of the Earth Scotland.